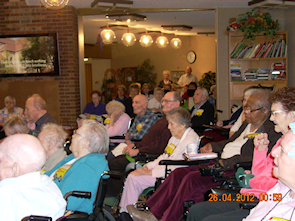 Circle Drive Special Care Home strives to keep you informed. If you can't find the information on our website or Facebook, please feel free to contact us at (306) 955-4800. 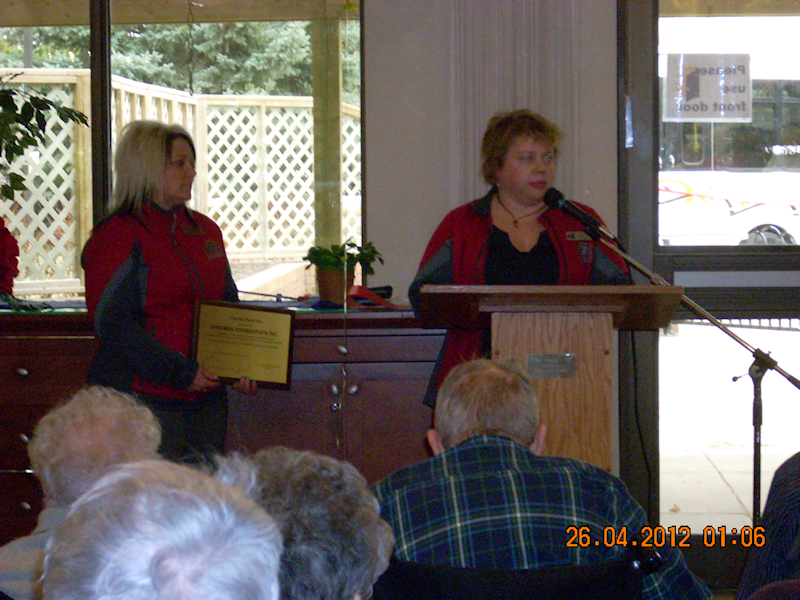 On April 26th 2012, Circle Drive Special Care Home held a ribbon-cutting ceremony to officially thank Kinsmen Telemiracle Inc. for its donation of $40,606.78 toward the purchase of a 2012 ElDorado Aerotech wheelchair accessible bus. Residents, family members and staff gathered to welcome Lori Friesen, Kinsmen Foundation Board Chair, and Michele Dawe, Kinsmen club member and application advocate, to the ceremony. Resident Earl McKellar was so pleased to participate in the Lawson Heights Mall outing on June 13th. He was surprised to be greeted by 35 of his friends who came by to visit. “It was wonderful. The time went by so quickly, but it was all wonderful,” says Earl. For over 20 years, Earl lived in the neighbourhood and has many close friends who still live in there. 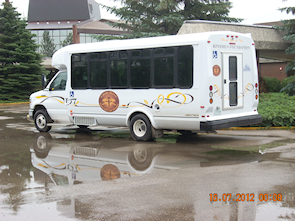 Helen Vickaryous also participated in some of the bus outings. “I loved it,” declared Helen. 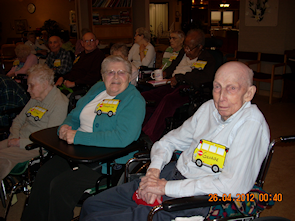 “I felt very safe on the bus and we were well taken care of. I felt absolutely elated to go out.” Helen was especially impressed with how much larger and tidier the Forestry Farm was than when she was there previously. 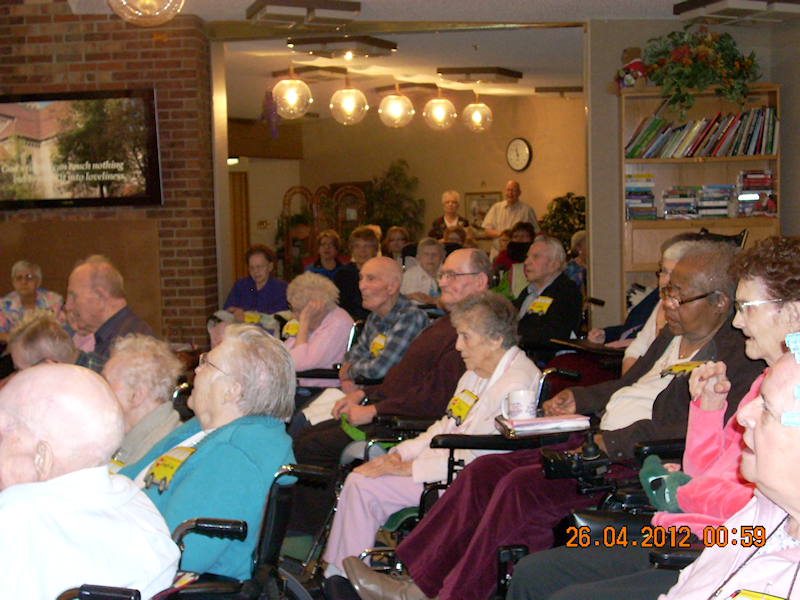 The recreation staff and resident council continue to plan weekly outings and the residents continue to look forward to them. “It’s a great way to build a positive outlook so life won’t pass us by,” explains Adriana Van Duyvendyk, recreation director. Laughter lives here. The residents laugh. Staff members laugh. We all laugh together.